Super Mario Bros.: Peach-hime Kyūshutsu Dai Sakusen! (which translates to The Great Mission to Rescue Princess Peach!) is a 1986 anime film which was only released in Japan. 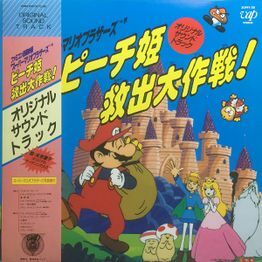 It was produced by Nippon Television and Grouper Productions in order to promote the Japanese version of Super Mario Bros. 2 (later released as Super Mario Bros.: The Lost Levels in the west). The theatrical screening was shown alongside a video strategy guide for game titled Super Mario Bros. 2 Kanzen Kōryakuhō (The Complete Strategy Guide), hosted by Jimmy Kobayashi. The movie is notable from its deviation of how the Mario canon was later developed, particularly in the presence of original characters such as Peach's fiancée Prince Haru (in contrast to the games, in which Peach has no other love interest outside Mario). While Peach and Bowser resemble Yoichi Kotabe's redesigns for the Japanese Mario 2, Luigi's design differs slightly from how he later looked in Mario 3 (as well as the U.S. version of Mario 2). 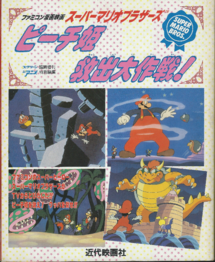 Super Mario Bros.: Peach-hime Kyushutsu Dai Sakusen was released in few small theatres on July 20, 1986, in Japan. It was later released as a rental-only video cassette on VHS. Because of this and its lack of any re-release on modern media, it's considered a "holy grail" to anime and Nintendo collectors. 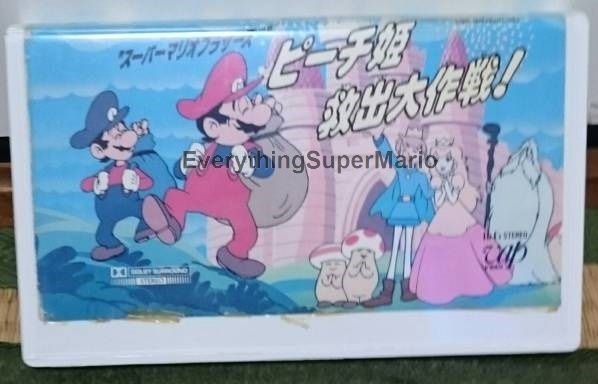 The plot of the film is about Mario and Luigi finding their way to the Mushroom Kingdom from a Warp Pipe after Princess Peach jumped out of their Famicom game. They then later found out that King Koopa had escaped the Famicom game too, and kidnapped Princess Peach. She must be saved by the two plumbers. In order to rescue her, the two must find the three powerups as follow: the Super Mushroom, the Fire Flower, and the Invincibility Star. Along the way, the brothers run into several enemies such as Goombas, Bloopers, Pirahna Plants, Lakitu, and much more. The duo arrives just in time to save Peach from a forced marriage to Bowser and defeat him by twirling Bowser by the tail and throwing him (this idea would be later recycled into Super Mario 64's Bowser battles). Peach thanks Mario for saving her (as well as for saving a prince, who, it turns out, had been put under a spell by Bowser to be transformed into a blue dog) and the two return home, promising to visit again soon. The movie ends with Bowser and his underlings now employed by Mario and Luigi in their grocery store. Vinyl record cover with obi strip - credit to togemet2. 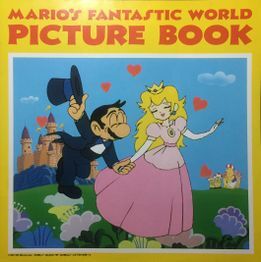 Mario's Fantastic World Picture Book (a supplement that came with the vinyl record) - credit to togemet2. Manga adaption by Kindaieigasha - credit to togemet2.